The Draws for the 2018 Naitonal Football Championship, a tournament set for senior men and women players from Rarotonga and the outer islands, have been decided. 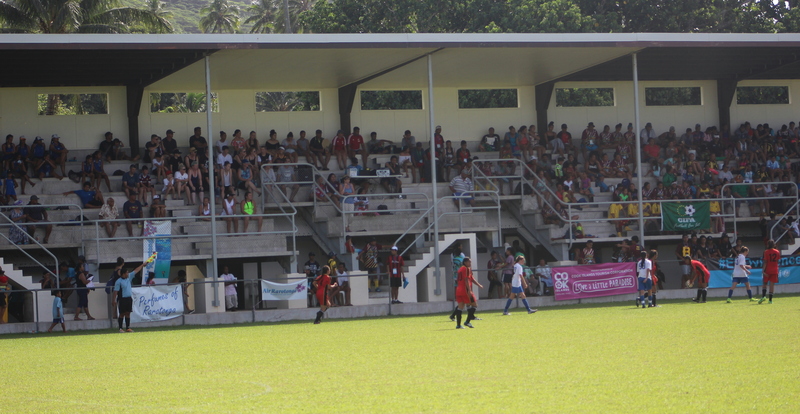 The Cook Islands Football Association (CIFA) received 16 team registrations from eight men’s and eight women’s teams, who were drawn into the same groups, Group A has Aitutaki, Avarua, Puaikura and Atiu, while Takitumu, Mitiaro, Mangaia and Mauke are placed in Group B. The first lot of games will kick off on Saturday, April 14, at the CIFA Complex with Group A, while Teimurimotia Park in Titikaveka will host the Group B matches. This week-long football competition will no doubt be a thrilling time for all who are competing, as well as for those who are cheering from the sidelines. Day one will see a number of exciting battles take place, none more so than in Group A – ‘the pool of death’ – when Avarua take on Aitutaki at the CIFA Complex, followed by Puaikura vs Atiu. It is important for all teams to come away with a win if they want to keep their championship hopes alive. While at Teimurimotia Park, Takitumu will go head to head against Mitiaro, followed by the match between Mangaia and Mauke. The draw was conducted by the CIFA competitions department and filmed live on the CIFA Facebook page at 10am on Tuesday.